The VA is finally acting to allow greater access for service animals to its facilities—only 2 years after being ordered to do so by Congress. 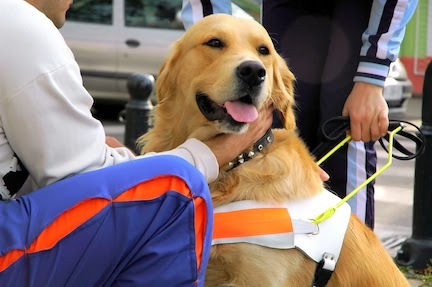 Currently, the VA is only required to allow seeing-eye dogs into its facilities, with each facility director having the option to allow other service animals if they so choose. But few do. Not so long ago, this wasn’t really an issue since service animals didn’t range far beyond seeing-eye dogs. Nowadays, however, service animals (not just dogs) are being used to help compensate for and treat a wide range of medical conditions, including mental disorders like PTSD. The proposed rule change would allow service animals into VA facilities provided the animals are trained to accompany a disabled person. The service animals must be on a leash or in a harness and under the control of their handler. This would bring the VA into compliance with the Americans with Disabilities Act. The VA would retain the right to restrict access for service animals in areas such as operating rooms, intensive care units, quarantine areas, or any places where required protective gear would be impossible to provide an animal. Food preparation areas as well as areas where there are patients with animal allergies or phobias would also be off limits. The VA is requesting public input on the proposed rule change. To read the proposed changes, go to https://www.federalregister.gov/articles/2014/11/21/2014-27629/animals-on-va-property and scroll down to Supplementary Information (for a more easily readable summary, keep on scrolling until you get to “General Provisions” item 2). To submit comments, you may click on the link in the “addresses" portion of the article, or go to http://www.Regulations.gov. Comments must be submitted on or before January 20, 2015.